A new tale Legend of Shara in the world of Tangledeep begins. 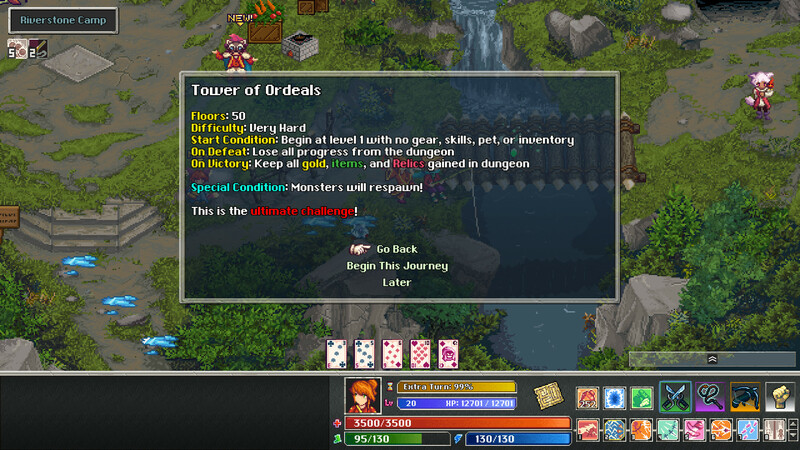 Explore new territories, reach great heights of power and experience, discover ancient relics, fight and tame dozens of new monsters, and experience a completely new story, like a globe, with unique gameplay, bosses, and encounters. 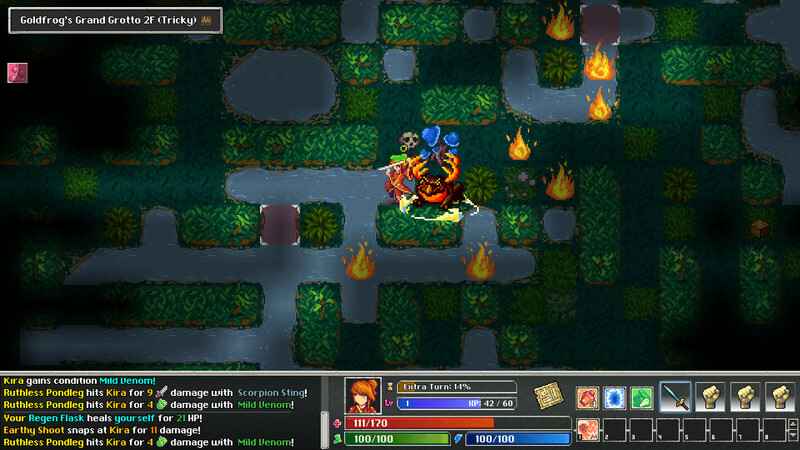 Is a complete addition to Tangledeep that adds breadth and depth to every aspect of the game for players of all levels of skill and experience! From new early game floors and monsters to wild new postgame content and everything in between. Now you can play for Sharu in a new prequel story that happens before the story of Mirai! 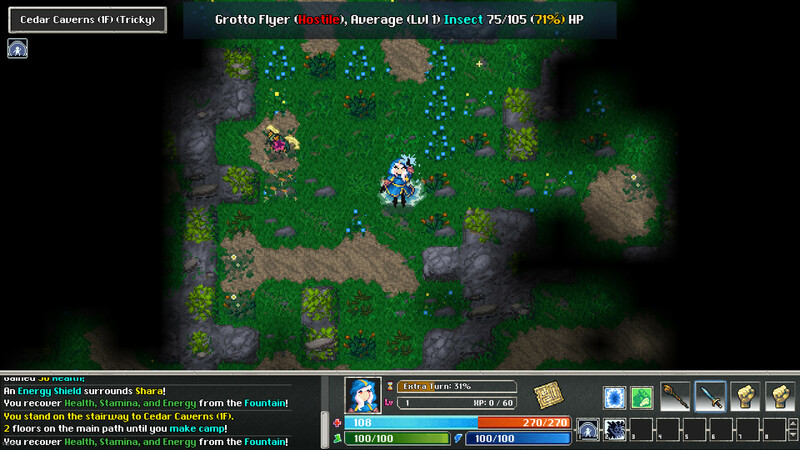 Although the main progress in dungeons is similar to the main game, the dialogues and bosses are very different. In this mode, there is no city, no meta-progress, no vacancy system. The ball does not get XP and levels like Mirai. Instead, you can spend JP on increasing your core stats. Thus, your XP level gradually increases. You can learn new abilities in two ways: first, open Pandora’s Boxes. They give you the opportunity to choose three random skills from the entire set of regular jobs, and you can choose one. Secondly, while resting in Campfires, you will have the opportunity to choose several random abilities only for Orbs, from which you can choose one each time. You will have to plan and adapt on the fly depending on what items and abilities you find.